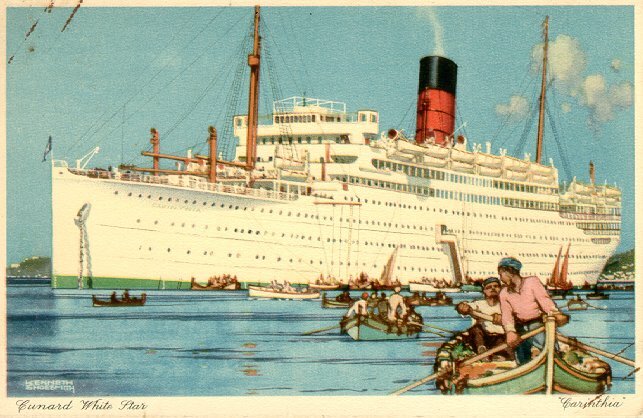 This Carinthia was actually Cunard's second ship to use that name. The first Carinthia was a freighter which was in service from 1895 to 1900. 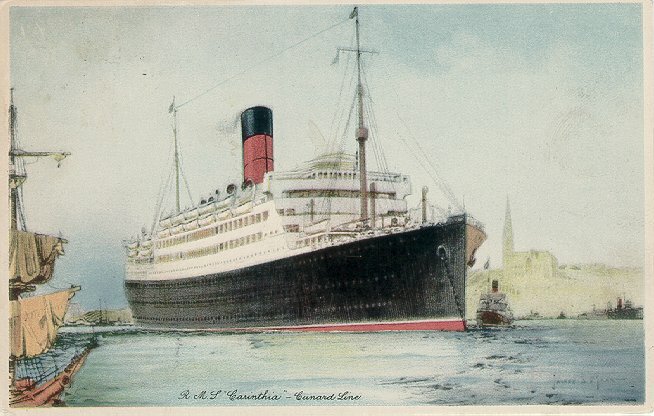 The Carinthia shown here was built by Vickers Armstrong & Co., Barrow. Laid down in 1924 as Servia, she was renamed Carinthia before being launched on 24 February 1925. She made her maiden voyage from Liverpool to New York on 22 August 1925. 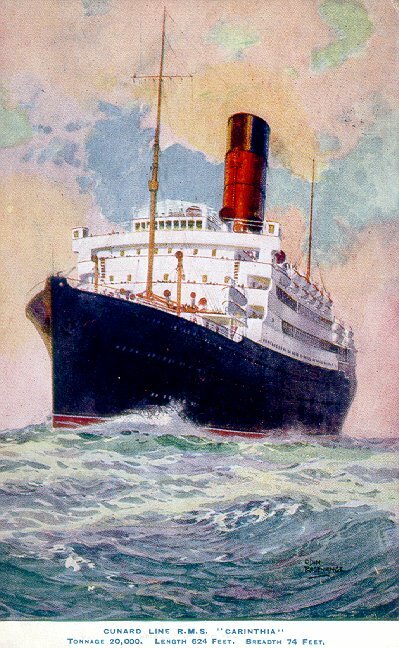 Until 1939, Carinthia ran on the Liverpool-New York route in the summer, except for 1934, when she ran on Cunard's London-New York route. During winters she was used for cruising and, like other Cunarders, in 1935 her hull was painted white. This is shown on one of the cards below. 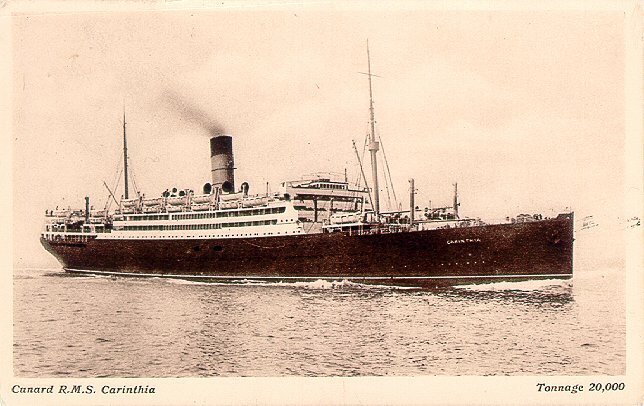 Taken over as an armed merchant cruiser in September 1939, Carinthia was torpedoed by U 46 off the coast of Ireland on 6 June 1940. Although four crew members were killed in the initial explosion, Carinthia remained afloat for 35 hours before sinking on 7 June, allowing the rescue of all others on board.